As a celebration of the unusual, Oddmall strives to showcase arts, crafts, and products that are a bit different from what you’d find at your local country craft fair. Anything weird, freaky, bizarre, off the cob, or just plain different is welcome fodder. We’re talking jewelry, art originals and prints, t shirts, stuffed animals, clothing, games and toys, home decorating jazz, holiday ornaments and just about anything else you might think of. 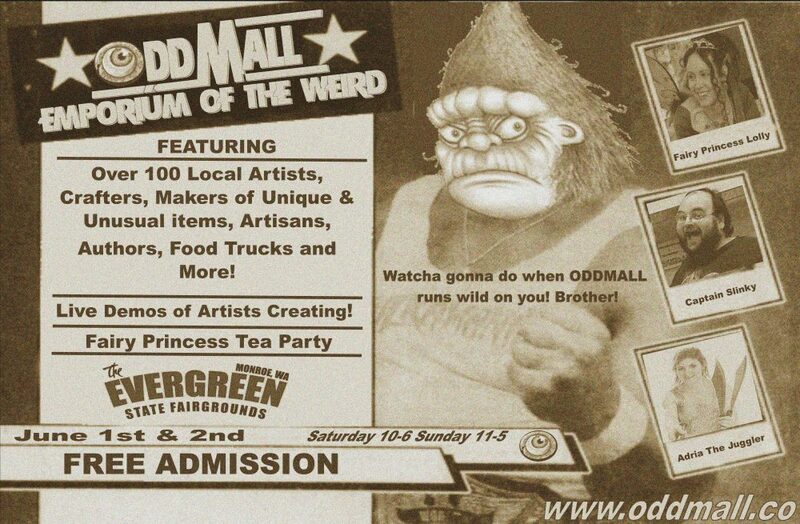 If it’s creative, unusual, and you made it it’s welcome at Oddmall (as long as it passes the jurying process!) Adult themed material is allowed but must be clearly marked as such and hidden from the eyes of passing children and the faint of constitution.